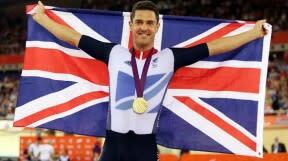 At the London Paralympic Games Mark scooped gold in the 3km pursuit, setting a Paralympics record at the same time. 42-year-old Mark dedicated his gold medal to his late father Cecil, who died earlier that year. Mark didn’t know if he would ever walk again, let alone become a record-breaking sportsman, after a paragliding accident left him partially paralysed. But the Tredegar rider has set the cycling world ablaze since arriving in the sport, claiming a World Championship title and world record in the build-up to the Games. A post box has been painted gold in his honour in his home town.